IPOB, told Vanguard Newspapers that Nigerian Army came to attack Their leader, Nnamdi Kanu’s house with army and police uniform on their body. According to Emma Powerful, the attackers who dressed in army and police uniform drove into the palace of the traditional ruler of Afaraukwu, who is the father of Nnamdi and started shooting people. Nnamdi Kanu said on a telephone conversation with The NATION that the attack at his residence in Abia state started at about 6:30pm when soldiers, who were sent to kill him started shooting sporadically as they got to the main entrance of his residence, adding that many people were wounded. 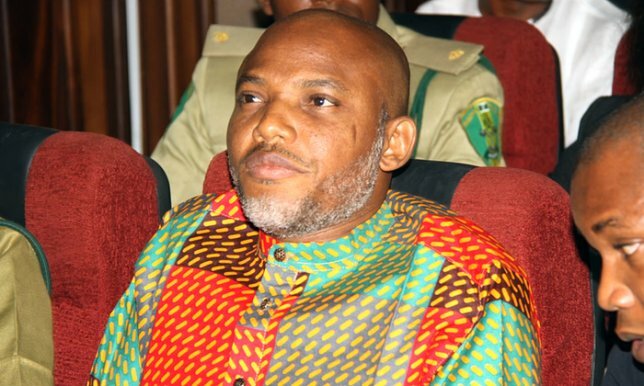 Nnamdi Kanu, who described the incident as “crude show of power,” urged his followers to remain calm. Public Relations Officer of Nigerian Army, 14 Brigade Ohafia, Major Oyegoke Gbadamosi responded swiftly to the arrant accusations saying that the soldiers were on routine patrol in the area and did not shoot at IPOB supporters.